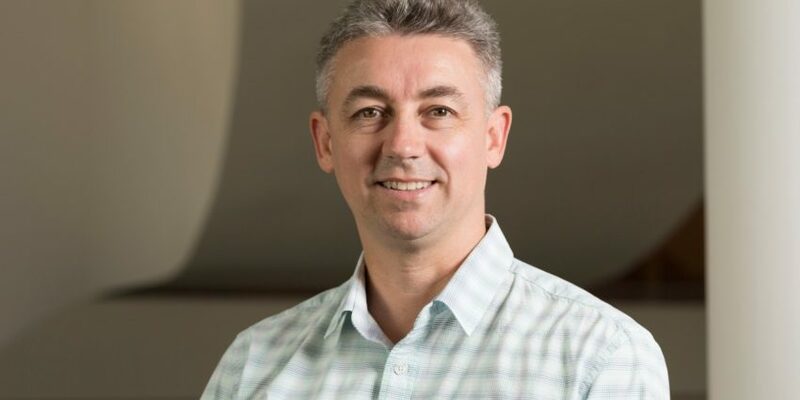 Professor Mark Molloy has extensive knowledge and experience in proteomics and translational oncology biomarker research. In March 2018, Molloy was appointed inaugural Lawrence Penn Chair in Bowel Cancer Research at the Kolling Institute, Royal North Shore Hospital and University of Sydney. The creation of the chair is a $10.4 million initiative of Bowel Cancer Australia, the Bowel Cancer Research Foundation and The University of Sydney and is named after bowel cancer survivor Lawrence Penn. 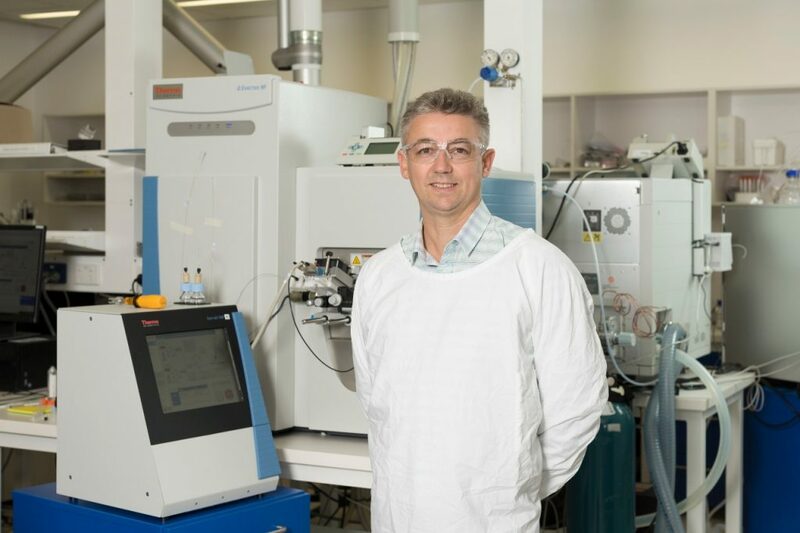 Mark has worked at Macquarie University for 15 years, where he served as the Director of the Australian Proteome Analysis Facility (APAF) and interim Head of Chemistry and Biomolecular Sciences. 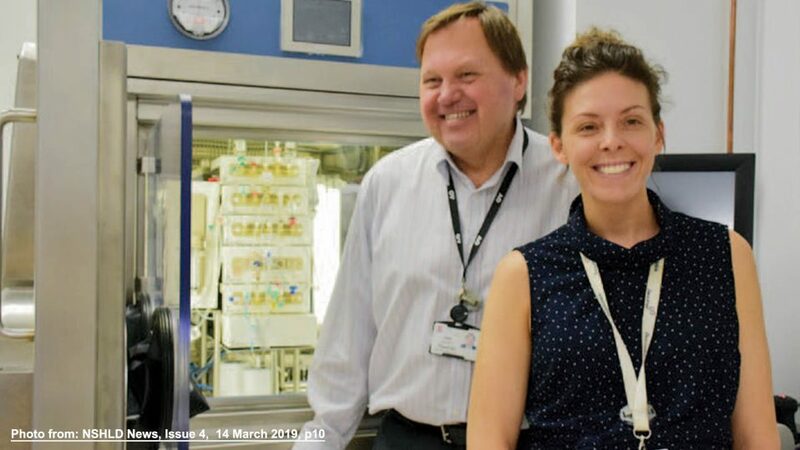 Mark completed his post-doctoral training in mass spectrometry in the laboratory of Professor Phillip Andrews at the University of Michigan Medical School. He then began a research scientist role in Pfizer Inc, using proteomics to discovery biomarkers of drug response and drug differentiation. 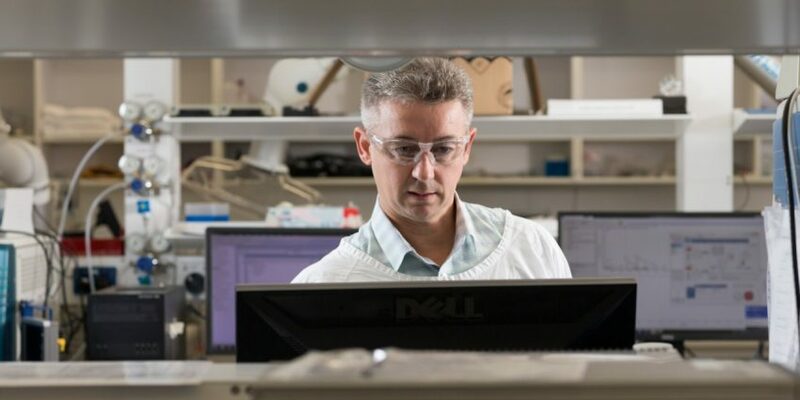 He returned to Australia and undertook a prestigious NHMRC Biomedical career development award to apply proteomics to investigate prognostic and predictive biomarkers associated with colorectal cancer. 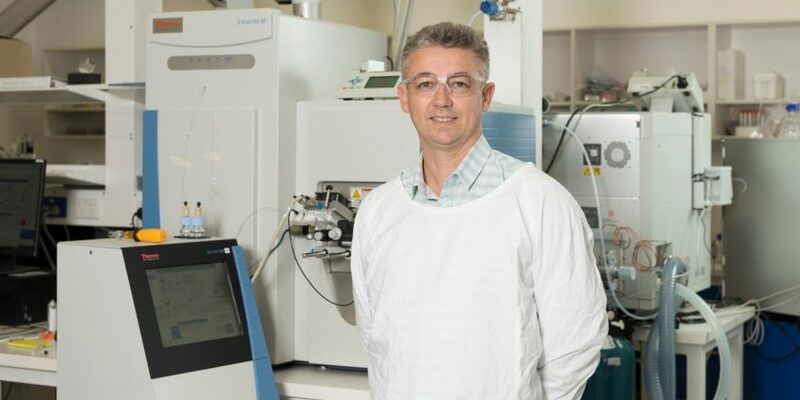 Mark’s expertise in the use of mass spectrometry as the core analytical technique supports collaborative research in many science and biomedical areas, where he has a strong focus on translational cancer research. 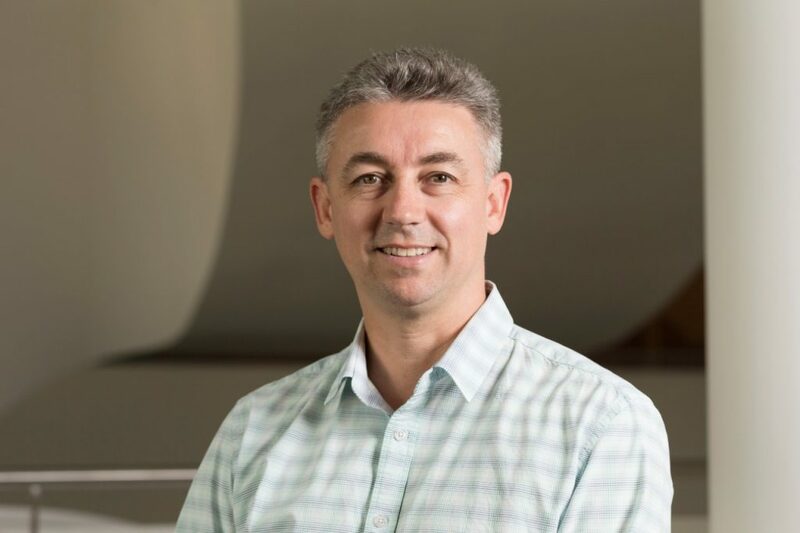 Professor Molloy’s contribution in the application of proteomics work is evidenced by his grant success (career total $42.9M), publications (>150) and HDR student completions (13). 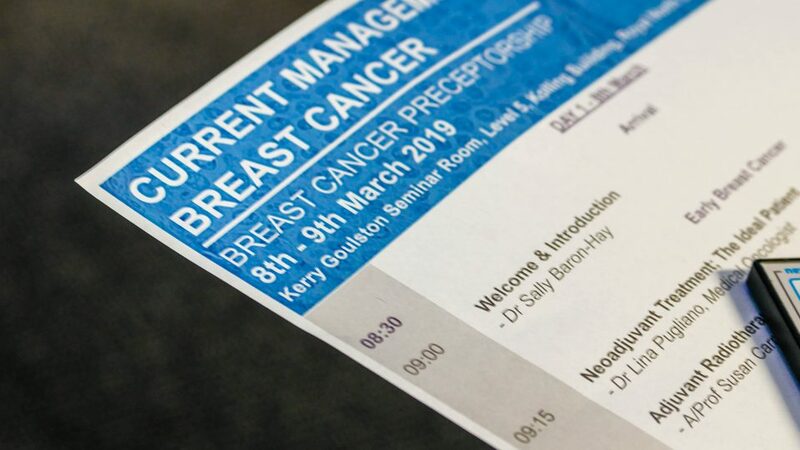 His areas of interest include the use of molecular profiling technologies for improved diagnosis, prognosis and identifying treatment response. He is focused on bowel cancer, but has also applied his skills to study melanoma, prostate cancer, thyroid cancer and lung cancer. 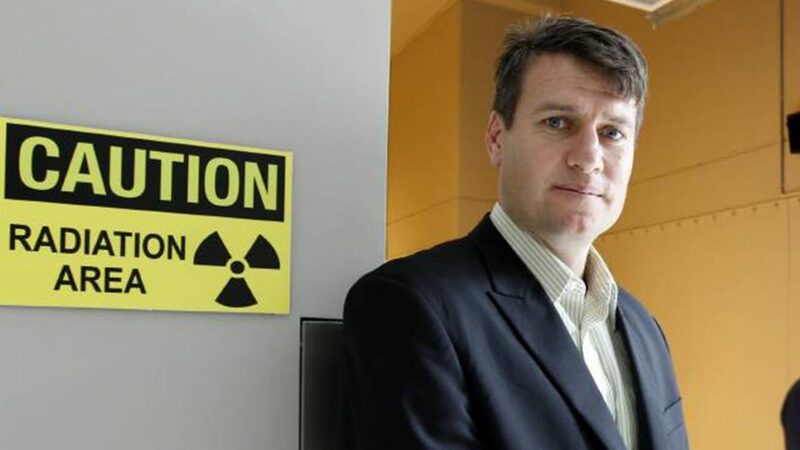 He is also an expert in the use of mass spectrometry for analysis of plasma associated with clinical biomarker research. He collaborates with colleagues in fields of neurodegeneration and diabetes. ARC Discovery DP110104958 – Sugars in the real world: are cultured cancer cells a good model system for studying protein glycosylation? Developing new treatments for brain vascular malformations. Investigating the regulatory roles of Cyclin F phosphorylation in the development and prevention of Amyotrophic Lateral Sclerosis (ALS). High content oncoproteomics for improved prognostication and treatment response. 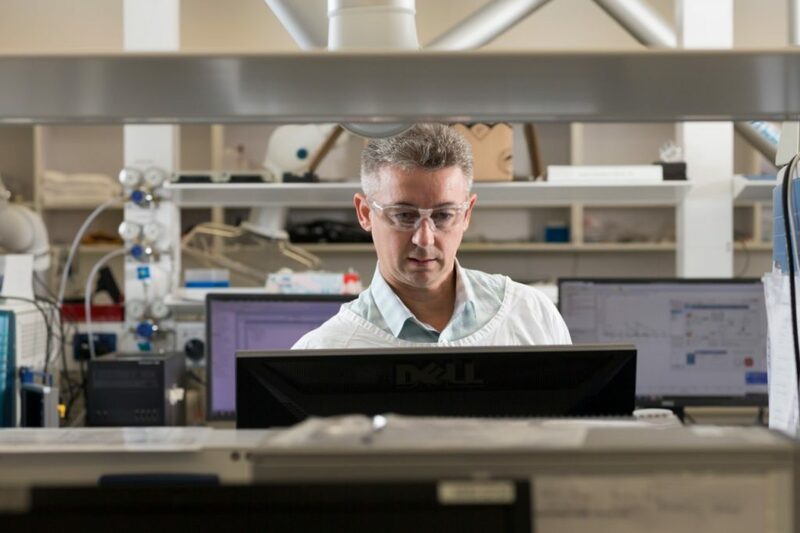 Platform for cancer drug monitoring and metabolite analysis supporting clinical and scientific cancer research. New approaches to plasma biomarker studies in MND/ALS. (Translational Cancer Research Program) Northern Translational Cancer Research Centre. Regulation of APC intracellular dynamics and function. Higher sensitivity and deeper proteome analysis with the newest generation Orbitrap mass spectrometer. Multiplexed quantitation of phosphoproteins in tumours as prognostic markers. 2016 Invited speaker 8th AsiaOceania Human Proteome Organisation meeting, SunMoon Lake,Taiwan. 2011 ABSciex user meeting American Society for Mass Spectrometry, Utah. Fung, D., Lo, A., Jankova, L., Clarke, S., Molloy, M., Robertson, G., Wilkins, M. (2011). Classification of Cancer Patients Using Pathway Analysis and Network Clustering. In Gerard Cagney, Andrew Emili (Eds. ), Network Biology: Methods and Applications, (pp. 311-336). New York: Humana Press. Sigglekow, N., Pangon, L., Brummer, T., Molloy, M., Hawkins, N., Ward, R., Musgrove, E., Kohonen-Corish, M. (2012). Mutated in colorectal cancer protein modulates the NF?B pathway. Anticancer Research, 32(1), 73-79.